It will work with any old-school version of the game or retroclone/retroinspired game. Need an adventure that's ready to play? That includes printable maps, pregenerated characters, and map images for Virtual Tabletops? Welcome to Sharp Mountain games. Strange Creatures are disturbing the peaceful town of Adela. Residents suspect an evil witch is causing trouble in the nearby Tarriswoods. Who will seek out the source of these troubles? 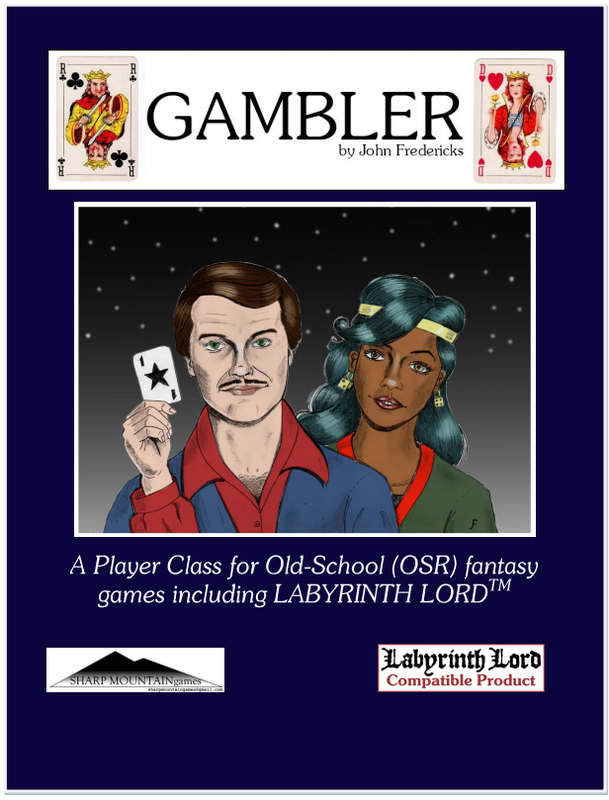 This adventure can be used with your favorite old school fantasy ruleset, retroclone, or retro-inspired game with little or no modifications. It can also be used with later editions with a little tweaking. My third supplement is up for only a buck. 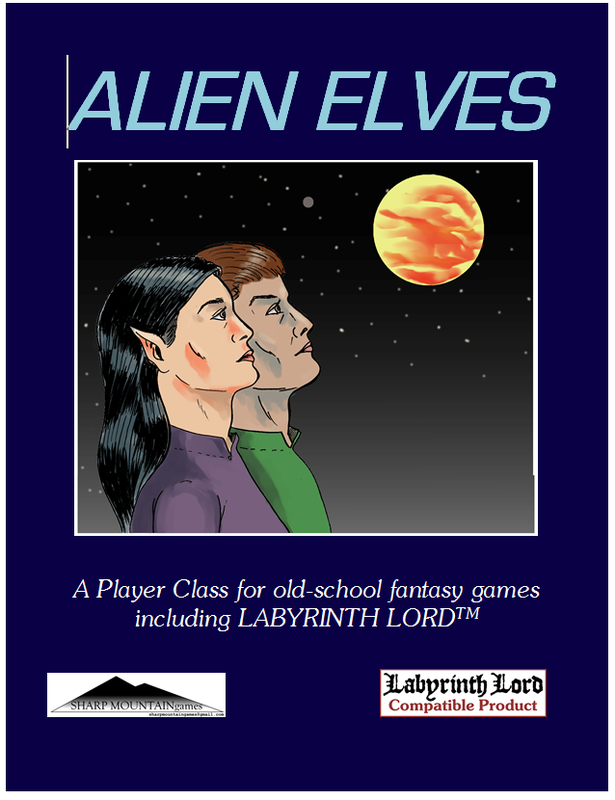 Ever wanted to play a science fictional race that looks like elves but adopts a certain "logical" lifestyle? 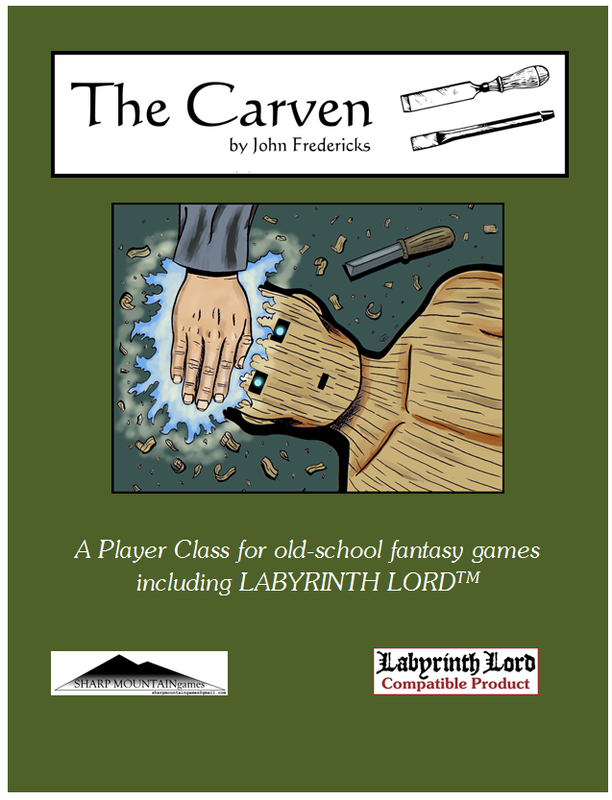 This supplement gives you a ten level class for B/X, Labyrinth Lord, and most other old school games. Thanks in advance for giving a look. Last edited by teaman on Sat May 12, 2018 5:13 pm, edited 1 time in total. Here's where you can see all our products, including the older ones. Which are all cheap, if I didn't mention that. Last edited by teaman on Sat May 12, 2018 5:14 pm, edited 1 time in total. Here's my latest product, for only a buck!!!! 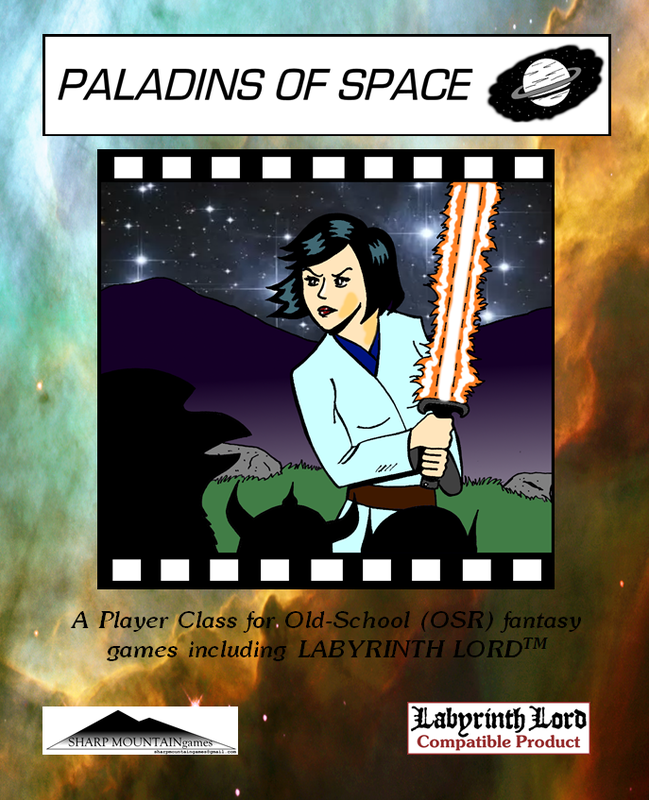 PALADINS OF SPACE!!!!! PICK UP YOUR WAVE-PARTICLE SWORD AND FIGHT FOR FREEDOM!!! This is not your world. Once you leapt between worlds in gleaming starships, fighting for freedom, helping the oppressed. Then came the crash. Your ship was damaged beyond repair, leaving you with only your Wave-Particle Sword and your ideals. So you ventured out into this world of primitive weapons and magic, determined to find a way back to your own Sphere. Along the way, you have found that there are noble causes to fight for here as well. Perhaps you will become a champion for good in this world as well. Perhaps it is your destiny. Last edited by teaman on Sat May 12, 2018 5:15 pm, edited 1 time in total. 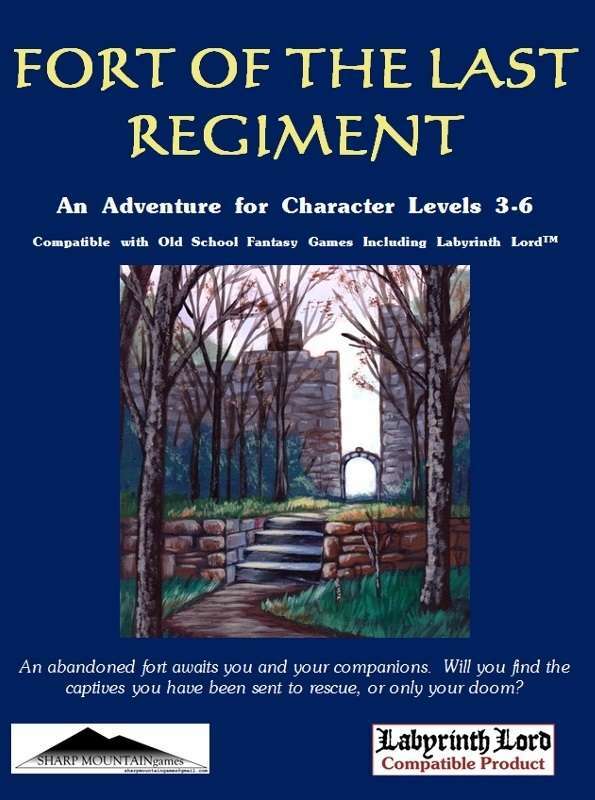 Need an adventure that is ready to play, including pregens? 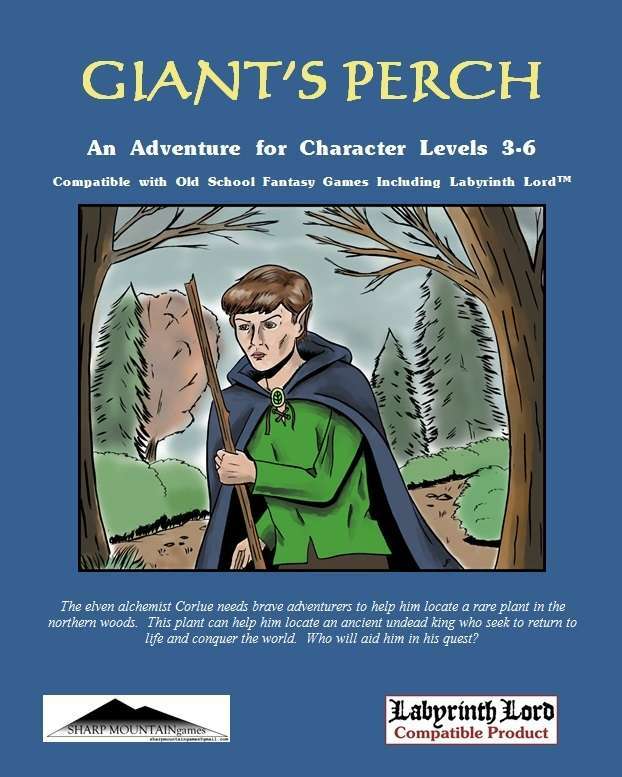 Travel north to the abandoned mountain temple known as Giant’s Perch. There you will help recover a rare plant whose extract my help stem the tide of an ancient undead evil. But this won't be no daisy picking excursion. Thanks in advance if you take a look. Last edited by teaman on Sat May 12, 2018 5:16 pm, edited 1 time in total. Last edited by teaman on Sat May 12, 2018 5:17 pm, edited 1 time in total. 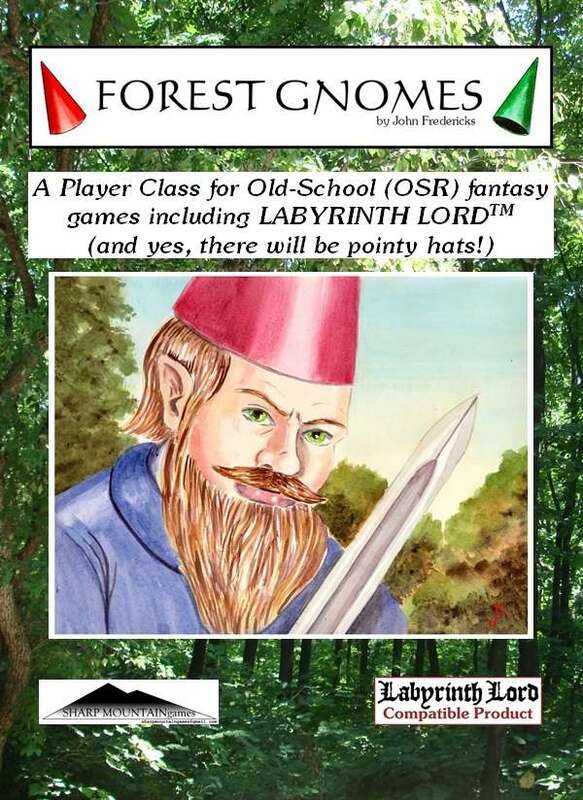 There's a new adventure up from Sharp Mountain Games (my humble publishing attempt) that I think you will find is unique. Here's the information from the title listing"
Need an adventure that’s ready to go? 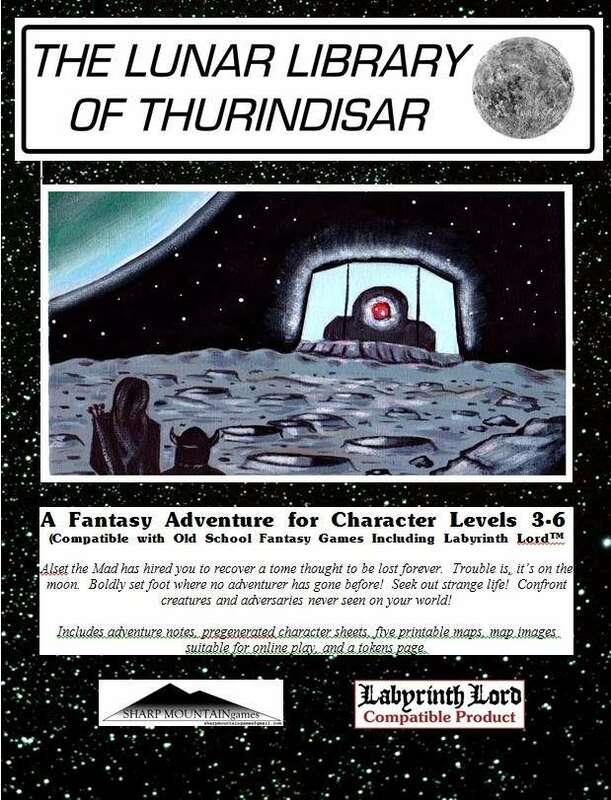 This book provides just that, plus a chance for your party to travel where no adventurer has before. Alset the Mad is willing to hire you to explore a lost library hidden on the moon. He’ll transport you there and back, and you’ll confront creatures never before seen by man or demi-human. You might even find some new allies or new civilizations along the way. Last edited by teaman on Sat May 12, 2018 5:18 pm, edited 1 time in total. Looks pretty cool, teaman. If I had money at the moment (just got done shopping) I'd be all over it! Thanks for taking a look arcbolt. This one took me a LONG time (there are five printable maps with it). I'm going with TWO maps for the next one, not five. And thanks to anyone else who took a look. I already sold one, so that means I can get the Dannon yogurt this week instead of "Best Yet" brand. "Best Yet?" I think not. Hey everyone, new issue ready for free download. Fun stuff and darn great art. Did you miss us? Plus our always incredible art from our Art Director Del Teigler and his crew, including Corey “Shonuff” Gelnet, John Frederick, Tim Harper, Caleb Horowitz, Martin H, Robin Irwin, Chris Letzelter, Michael Raston, Milo, Thom Wilson and JV West. As well as our regular amazing contributions by Tim Connolly, Len Lakofka, Fingolwyn, Andrew Hamilton, Ian Slater, Nicole Massey, Doug Rector and newbies like Ethan Sincox! Please get the word out to share with others, and I hope you enjoy and find it useful!